The alkaline earth metals are beryllium (Be), magnesium (Mg), calcium (Ca), strontium (Sr), barium (Ba), and radium (Ra). This group lies in the s-block of the periodic table as all alkaline earth metals have their outermost electron in an s-orbital. The alkaline earth metals are six chemical elements in column (group) 2 of the Periodic table. They are beryllium (Be), magnesium(Mg), calcium (Ca), strontium (Sr), barium (Ba), and radium (Ra). They have very similar properties: they are all shiny, silvery-white, somewhat reactive metals at standard temperature and pressure. Structurally, they have in common an outer s- electron shell which is full;. that is, this orbital contains its full complement of two electrons, which these elements readily lose to form cations with charge +2, and an oxidation state (oxidation number) of +2. The alkaline earth metals are all silver-colored and soft, and have relatively low densities, melting points, and boiling points. In chemical terms, all of the alkaline metals react with the halogens to form the alkaline earth metal halides, all of which being ionic crystalline compounds (except for beryllium chloride, which is covalent). All the alkaline earth metals except beryllium also react with water to form strongly alkaline hydroxides and, thus, should be handled with great care. The heavier alkaline earth metals react more vigorously than the lighter ones. The alkaline metals have the second-lowest first ionization energies in their respective periods of the periodic tablebecause of their somewhat low effective nuclear charges and the ability to attain a full outer shell configuration by losing just twoelectrons. The second ionization energy of all of the alkaline metals is also somewhat low. 2), as well as reacting withoxygen to form oxides such as strontium oxide (SrO). Calcium, strontium, and barium react with water to produce hydrogen gas and their respective hydroxides, and also undergo transmetalation reactions to exchange ligands. The alkaline earth metals are named after their oxides, the alkaline earths, whose old-fashioned names were beryllia, magnesia, lime, strontia, and baryta. These oxides are basic (alkaline) when combined with water. “Earth” is an old term applied by early chemists to nonmetallic substances that are insoluble in water and resistant to heating—properties shared by these oxides. The realization that these earths were not elements but compounds is attributed to the chemist Antoine Lavoisier. In his Traité Élémentaire de Chimie (Elements of Chemistry) of 1789 he called them salt-forming earth elements. Later, he suggested that the alkaline earths might be metal oxides, but admitted that this was mere conjecture. In 1808, acting on Lavoisier’s idea, Humphry Davy became the first to obtain samples of the metals by electrolysis of their molten earths, thus supporting Lavoisier’s hypothesis and causing the group to be named the alkaline earth metals. The calcium compounds calcite and lime have been known and used since prehistoric times. The same is true for the beryllium compounds beryl and emerald. The other compounds of the alkaline earth metals were discovered starting in the early 15th century. The magnesium compound magnesium sulfate was first discovered in 1618 by a farmer at Epsom in England. Strontium carbonate was discovered in minerals in the Scottish village of Strontian in 1790. 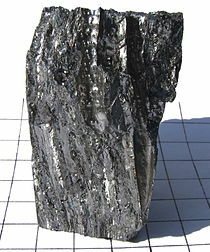 The last element is the least abundant: radioactiveradium, which was extracted from uraninite in 1898. Magnesium was first produced by Sir Humphry Davy in England in 1808 using electrolysis of a mixture of magnesia and mercuric oxide.Antoine Bussy prepared it in coherent form in 1831. Davy’s first suggestion for a name was magnium, but the name magnesium is now used. In 1790, physician Adair Crawford, who had been working with barium, realized that Strontian ores showed different properties than other supposed ores of barium. Therefore, he concluded that these ores contained new minerals, which were named strontites in 1793 by Thomas Charles Hope, a chemistry professor at the University of Glasgow, who confirmed Crawford’s discovery. Strontium was eventually isolated in 1808 by Sir Humphry Davy by electrolysis of a mixture of strontium chloride and mercuric oxide. The discovery was announced by Davy on 30 June 1808 at a lecture to the Royal Society. Barite, a mineral containing barium, was first recognized as containing a new element in 1774 by Carl Scheele, although he was able to isolate onlybarium oxide. Barium oxide was isolated again two years later by Johan Gottlieb Gahn. 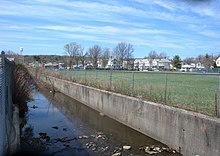 Later in the 18th century, William Withering noticed a heavy mineral in the Cumberland lead mines, which are now known to contain barium. Barium itself was finally isolated in 1808 when Sir Humphry Davyused electrolysis with molten salts, and Davy named the element barium, after baryta. Later, Robert Bunsen and Augustus Matthiessen isolated pure barium by electrolysis of a mixture of barium chloride and ammonium chloride. While studying uraninite, on 21 December 1898, Marie and Pierre Curie discovered that, even after uranium had decayed, the material created was still radioactive. The material behaved somewhat similarly to barium compounds, although some properties, such as the color of the flame test and spectral lines, were much different. They announced the discovery of a new element on 26 December 1898 to the French Academy of Sciences.Radium was named in 1899 from the word radius, meaning ray, as radium emitted power in the form of rays. Beryllium occurs in the earth’s crust at a concentration of two to six parts per million (ppm), much of which is in soils, where it has a concentration of six ppm. Beryllium is one of the rarest elements in seawater, even rarer than elements such as scandium, with a concentration of 0.2 parts per trillion. However, in freshwater, beryllium is somewhat more common, with a concentration of 0.1 parts per billion. Magnesium and calcium are very common in the earth’s crust, with calcium the fifth-most-abundant element, and magnesium the eighth. None of the alkaline earth metals are found in their elemental state, but magnesium and calcium are found in many rocks and minerals: magnesium in carnellite, magnesite, and dolomite; and calcium in chalk, limestone, gypsum, and anhydrite. Strontium is the fifteenth-most-abundant element in the Earth’s crust. Most strontium is found in the minerals celestite and strontianite.Barium is slightly less common, much of it in the mineral barite. 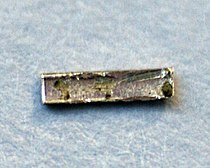 Radium, being a decay product of uranium, is found in all uranium-bearing ores. Due to its relatively short half-life, radium from the Earth’s early history has decayed, and present-day samples have all come from the much slower decay of uranium. Beryllium is used mostly for military applications, but there are other uses of beryllium, as well. In electronics, beryllium is used as a p-type dopant in some semiconductors,and beryllium oxide is used as a high-strength electrical insulator and heat conductor. Due to its light weight and other properties, beryllium is also used in mechanics when stiffness, light weight, and dimensional stability are required at wide temperature ranges. Magnesium has many different uses. One of its most common uses was in industry, where it has many structural advantages over other materials such as aluminium, although this usage has fallen out of favor recently due to magnesium’s flammability. Magnesium is also often alloyed with aluminium or zinc to form materials with more desirable properties than any pure metal. 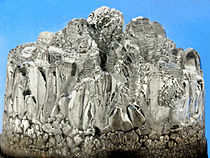 Magnesium has many other uses in industrial applications, such as having a role in the production of iron and steel, and the production oftitanium. Strontium and barium do not have as many applications as the lighter alkaline earth metals, but still have uses. Strontium carbonate is often used in the manufacturing of redfireworks, and pure strontium is used in the study of neurotransmitter release in neurons. Barium has some use in vacuum tubes to remove gases, and barium sulfatehas many uses in the petroleum industry, as well as other industries. Magnesium and calcium are ubiquitous and essential to all known living organisms. They are involved in more than one role, with, for example, magnesium or calcium ion pumpsplaying a role in some cellular processes, magnesium functioning as the active center in some enzymes, and calcium salts taking a structural role, most notably in bones. Strontium plays an important role in marine aquatic life, especially hard corals, which use strontium to build their exoskeletons. It and barium have some uses in medicine, for example “barium meals” in radiographic imaging, whilst strontium compounds are employed in some toothpastes. Excessive amounts of strontium-90 are toxic due to its radioactivity and strontium-90 mimics calcium and then can kill. Beryllium and radium, however, are toxic. Beryllium’s low aqueous solubility means it is rarely available to biological systems; it has no known role in living organisms and, when encountered by them, is usually highly toxic. Radium has a low availability and is highly radioactive, making it toxic to life. The next alkaline earth metal after radium is thought to be element 120, although this may not be true due to relativistic effects. The synthesis of element 120 was first attempted in March 2007, when a team at the Flerov Laboratory of Nuclear Reactions in Dubna bombarded plutonium-244 with iron-58 ions; however, no atoms were produced, leading to a limit of 400 fb for the cross-section at the energy studied. In April 2007, a team at the GSI attempted to create element 120 by bombarding uranium-238 withnickel-64, although no atoms were detected, leading to a limit of 1.6 pb for the reaction. Synthesis was again attempted at higher sensitivities, although no atoms were detected. Other reactions have been tried, although all have been met with failure. The chemistry of element 120 is predicted to be closer to that of calcium or strontium instead of barium or radium. This is unusual as periodic trends would predict element 120 to be more reactive than barium and radium. This lowered reactivity is due to the expected energies of element 120’s valence electrons, increasing element 120’s ionization energy and decreasing the metallic and ionic radii. This article is about the factory workers. For the illusion, see Radium Girl. The Radium Girls were female factory workers who contracted radiation poisoning from painting watch dials withself-luminous paint at the United States Radium factory in Orange, New Jersey, around 1917. The women, who had been told the paint was harmless, ingested deadly amounts of radium by licking their paintbrushes to give them a fine point; some also painted their fingernails and teeth with the glowing substance. Five of the women challenged their employer in a case that established the right of individual workers who contractoccupational diseases to sue their employers. From 1917 to 1926, U.S. Radium Corporation, originally called the Radium Luminous Material Corporation, was engaged in the extraction and purification of radium from carnotite ore to produce luminous paints, which were marketed under the brand name “Undark“. As a defense contractor, U.S. Radium was a major supplier of radioluminescent watches to the military. Their plant in Ottawa, Illinois, employed more than a hundred workers, mainly women, to paint radium-lit watch faces and instruments, misleading them that it was safe. The U.S. Radium Corporation hired approximately 70 women to perform various tasks including the handling of radium, while the owners and the scientists familiar with the effects of radium carefully avoided any exposure to it themselves; chemists at the plant used lead screens, masks and tongs. U.S. Radium had even distributed literature to the medical community describing the “injurious effects” of radium. An estimated 4,000 workers were hired by corporations in the U.S. and Canada to paint watch faces with radium. They mixed glue, water and radium powder, and then used camel hair brushes to apply the glowing paint onto dials. The then-current rate of pay, for painting 250 dials a day, was about a penny and a half per dial (equivalent to $0.276 in 2015). The brushes would lose shape after a few strokes, so the U.S. Radium supervisors encouraged their workers to point the brushes with their lips, or use their tongues to keep them sharp. For fun, the Radium Girls painted their nails, teeth and faces with the deadly paint produced at the factory. Many of the workers became sick. It is unknown how many died from exposure to radiation. Many of the women later began to suffer from anemia, bone fractures and necrosis of the jaw, a condition now known as radium jaw. It is thought that the X-ray machines used by the medical investigators may have contributed to some of the sickened workers’ ill-health by subjecting them to additional radiation. It turned out at least one of the examinations was a ruse, part of a campaign of disinformation started by the defense contractor. U.S. Radium and other watch-dial companies rejected claims that the afflicted workers were suffering from exposure to radium. For some time, doctors, dentists, and researchers complied with requests from the companies not to release their data. At the urging of the companies, worker deaths were attributed by medical professionals to other causes; syphilis, a notorious sexually transmitted disease at the time, was often cited in attempts to smear the reputations of the women. The story of the abuse perpetrated against the workers is distinguished from most such cases by the fact that the ensuing litigation was covered widely by the media. Plant worker Grace Fryer decided to sue, but it took two years for her to find a lawyer willing to take on U.S. Radium. Even after the women found a lawyer, the slow-moving courts held out for months. At their first appearance in court on January 1928, two women were bedridden and none of them could raise their arms to take oath. A total of five factory workers – Grace Fryer, Edna Hussman, Katherine Schaub, and sisters Quinta McDonald and Albina Larice – dubbed the Radium Girls, joined the suit. The litigation and media sensation surrounding the case established legal precedents and triggered the enactment of regulations governing labor safety standards, including a baseline of “provable suffering“. The Radium Girls saga holds an important place in the history of both the field of health physics and the labor rights movement. The right of individual workers to sue for damages from corporations due to labor abuse was established as a result of the Radium Girls case. In the wake of the case, industrial safety standards were demonstrably enhanced for many decades. The case was settled in the autumn of 1928, before the trial was deliberated by the jury, and the settlement for each of the Radium Girls was $10,000 (equivalent to $137,000 in 2015) and a $600 per year annuity (equivalent to $8,200 in 2015) while they lived, and all medical and legal expenses incurred would also be paid by the company. The lawsuit and resulting publicity was a factor in the establishment of occupational disease labor law. Radium dial painters were instructed in proper safety precautions and provided with protective gear; in particular, they no longer shaped paint brushes by lip and avoided ingesting or breathing the paint. Radium paint was still used in dials as late as the 1960s. Robley D. Evans made the first measurements of exhaled radon and radium excretion from a former dial painter in 1933. At MIT he gathered dependable body content measurements from 27 dial painters. This information was used in 1941 by the National Bureau of Standards to establish the tolerance level for radium of 0.1 μCi (3.7 kBq). The Center for Human Radiobiology was established at Argonne National Laboratory in 1968. The primary purpose of the Center was providing medical examinations for living dial painters. The project also focused on collection of information and, in some cases, tissue samples from the radium dial painters. When the project ended in 1993, detailed information of 2,403 cases had been collected. No symptoms were observed in those dial painter cases with less than 1,000 times the natural 226Ra levels found in unexposed individuals, suggesting a threshold for radium-induced malignancies. D. W. Gregory told the story of Grace Fryer in the play Radium Girls, which premiered in 2000 at the Playwrights Theatre in Madison, New Jersey. Historian Claudia Clark wrote an account of the case and its wider historical implications: Radium Girls: Women and Industrial Health Reform, 1910–1935 (published 1997). Radium Halos: A Novel about the Radium Dial Painters a 2009 novel by Shelley Stout is historical fiction narrated by a sixty-five-year-old mental patient who worked at the factory when she was sixteen (ISBN 978-1448696222). Author Deborah Blum referenced the story in her 2010 book The Poisoner’s Handbook: Murder and the Birth of Forensic Medicine in Jazz Age New York. The Radium Dial Company workers’ story is dramatized in Melanie Marnich‘s stage play These Shining Lives. A fictionalized version of the story was featured in the 1937 short story “Letter to the Editor” by James H. Street, adapted into a 1937 film Nothing Sacred and a 1953 Broadway musical Hazel Flagg. The story is told in the American Experience episode The Poisoner’s Handbook, based on the non-fiction book with the same name by Deborah Blum.